Ringcraft Moana and Stony River. 5pm pick up at Ariki street with our Schnitzelbus. You can book this tour for your group on any other Wednesday. Minimum of 15 people please inquire for availability. This tour combines art with food and New Plymouth with the coast. 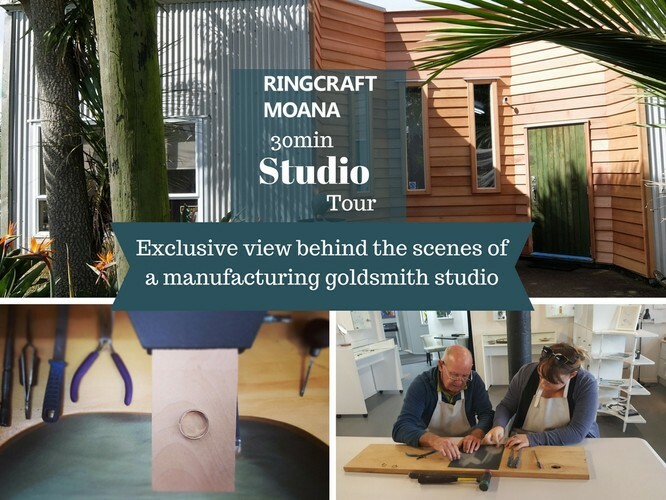 5:15pm arrival at Ringcraft Moana jewellers Oakura. Afterwards you will be taken to Stony River, where Renate and Heimo are waiting for you with a warm welcome. 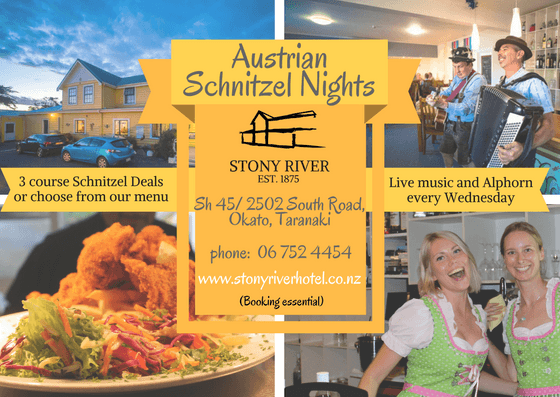 Choose from their selection of European and New Zealand beers and wine and settle into our little piece of Austria right here in Taranaki. 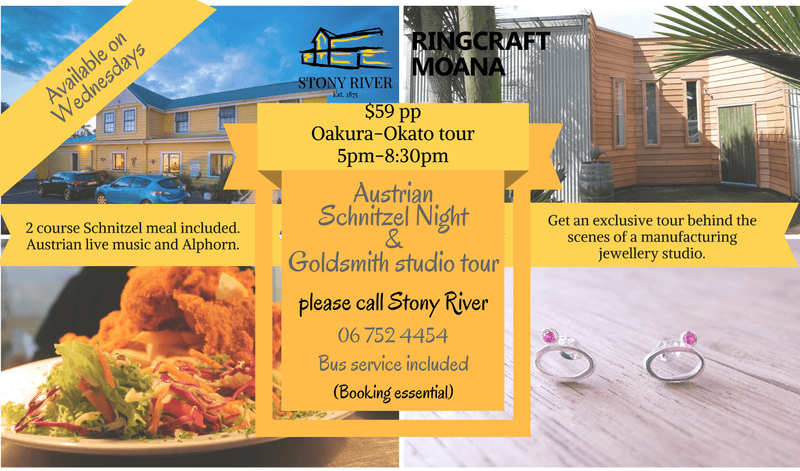 To discuss your tour and for pick up options along the way of NP-Oakura-Okato please call us 06 752 4454 or send us an email - info@stonyriverhotel.co.nz.